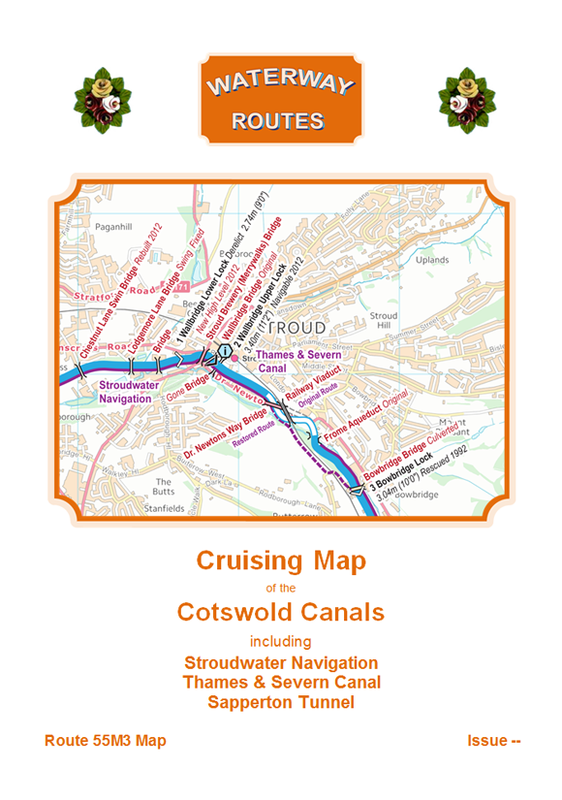 These are my free maps covering the Cotswold Canals. Download these free maps (from the links at the end) to see how good my maps are, and to check you can install them on your device(s). 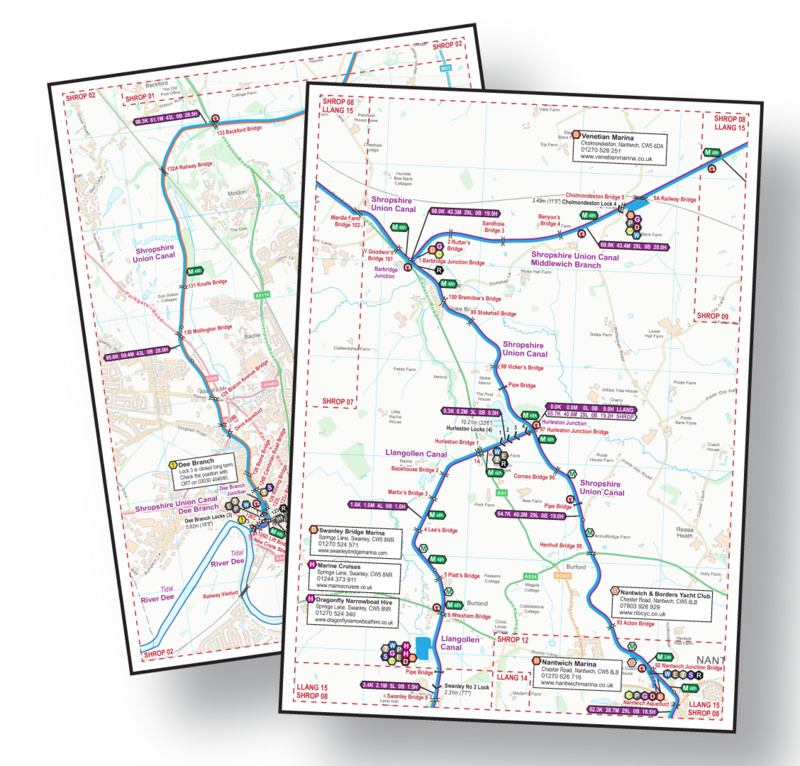 All the maps in my range are produced in this clear style showing the information you need for cruising, and helping with walking or cycling too. They are all available to download in a choice of Acrobat (pdf) and Memory‑Map (qct) formats. 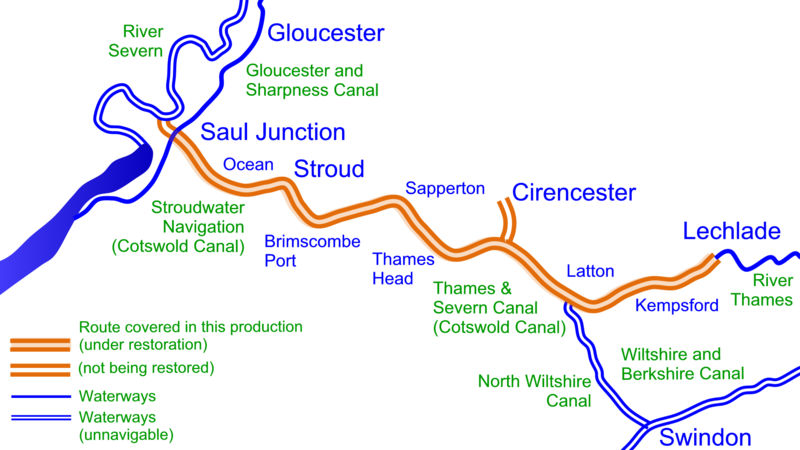 Extract from my Cotswold Canals Maps. Clear presentation shows the Locks, bridges, and aqueducts etc. 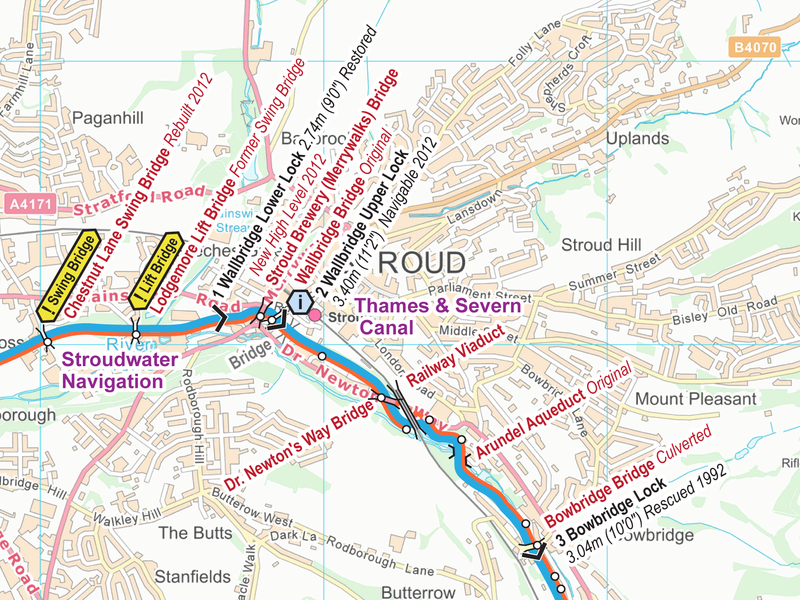 superimposed on an Ordnance Survey (OS) background map. Download the key to see the features which appear on the maps. Route covered by my Cotswold Canals Maps. 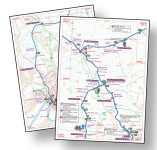 The Acrobat (pdf) map includes 13 pages of maps plus 5 cover pages. These can be viewed on screen a page at a time. The maps are licenced and free for personal use. Business licences are available on request. Copyright in the background maps is held by Ordnance Survey. Copyright in all other work is held by Waterway Routes. The maps should not be copied or distributed without permission except for the limited circumstances permitted by law. Popular – Like a television programme with highlights of the route, including commentary and background music. 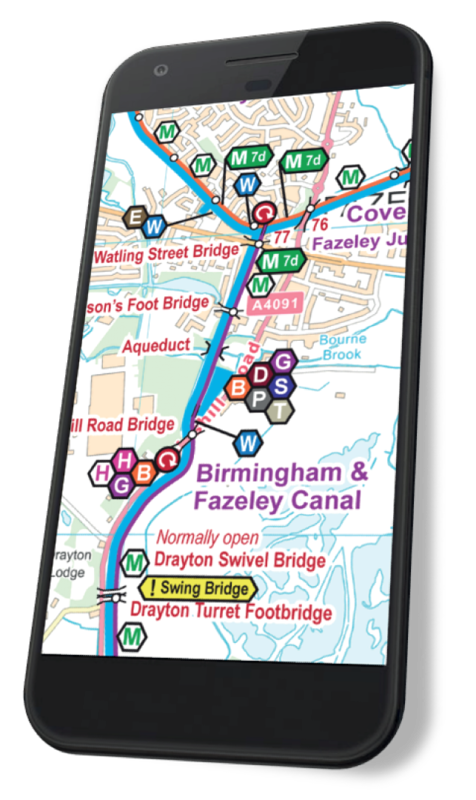 England & Wales Map which includes all the Waterway Routes maps joined into one large map which is cheaper than buying the maps individually.